Today is day 1 of my 49 day committment. It’s also the day of my first workout. Even though my plans didn’t work out (pun not intended), it was a good workout. This morning while I was meal planning for new week (more on that tomorrow), I used my LA Fitness App to check my local class times. I wanted to go to Yoga. I hadn’t been to a class in weeks and I love the instructor, Anne. She’s such a good teacher! Apparently I didn’t actually read what time Yoga started because I thought it was at noon and it actually started at 11. I checked the time around 10, and the gym with this particular class is 20 minutes away (my normal LA Fitness if 6 minutes from my house), so I could have made it if I had used my brain. Oh well! After I finished meal planning, and got dressed, and realized I couldn’t go to yoga, I decided to head to my normal, nearby LA and get in a good run. This winter has been brutal and running outside has been difficult if not impossible. 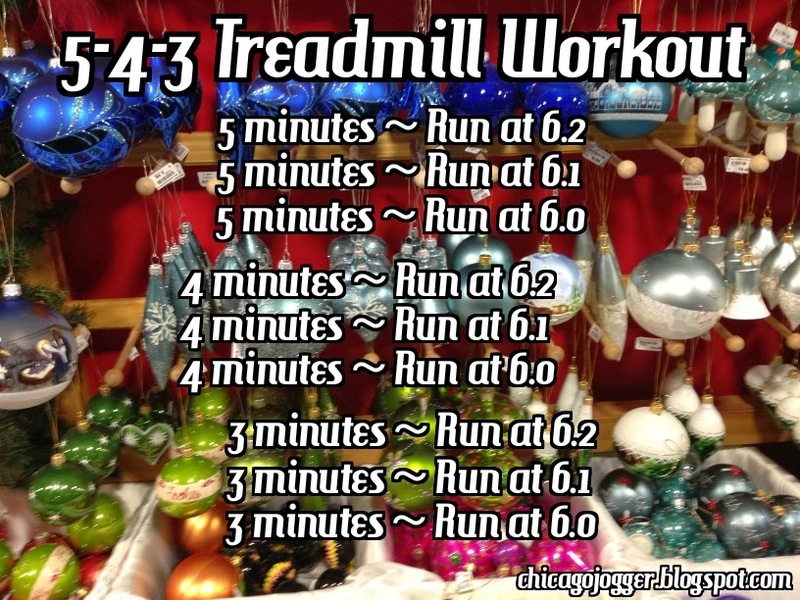 I knew I was going to become best buds with the treadmill so I spent a few minutes the other night Pinning treadmill workouts on my Pinterest board, Fitness. I picked one to run today, and it was way harder than I thought it’d be. I had no clue I’d be so out of shape after only 2 weeks of not running. It was a 5-4-3 workout from Chicago Jogger. I tweaked it a little to add more variation and increase the intensity a bit since I thought I could handle it. 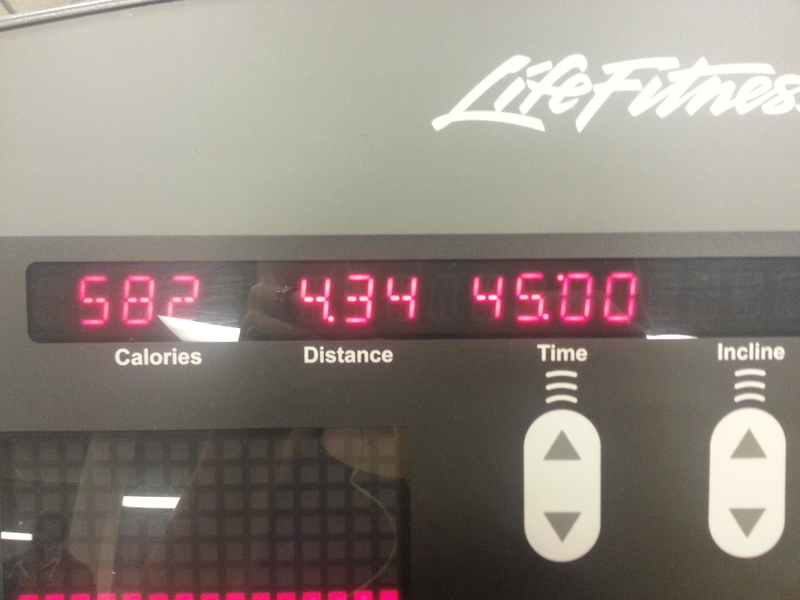 After a 2 minutes walking warm up, I increased the incline to 1% and ran 5 minutes at 6.5, 5 at 6.2, and 5 at 6.0. Then 4 at 6.5, 6.2, 6.0. And 3 at 6.5, 6.2. And 3 minutes at 6.5, 6.2, and 6.0. That brought me to 38 minutes and I ran the last 2 at 6.5 to finish a full 40 minutes. I walked for 5 minutes at the end to cool down. I also paused the treadmill and walked twice during my workout. Yep, I’ve got some work to do! Note the creeper behind me. After my run I grabbed a mat a stretched in the “classroom” which was empty because all classes end by noon on Saturdays. I did 49 crunches (sticking with a them here), 49 arm-leg reaches (on hands and knees, reach arm out at the same time as the opposite leg while maintaining a straight back), and a 49 second plank. I have absolutely no core strength. I sit at a desk all day and I have back problems all the time, so I’m working on building that up very slowly. I felt loads better after working out and stretching. I picked up a couple new pairs of Danskin workout capri’s on the way home, and then had some Thai Basil Meatloaf (it was supposed to be meatballs but I got lazy) with brown rice for lunch. Tomorrow is going to be cooking day for the week and a rest day from working out. Anyone else get in a good workout today? Have some good treadmill workouts? I’d love to hear!